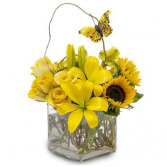 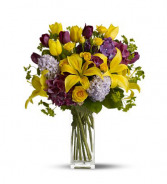 Invite the warm and welcoming beauty of Spring into the home. 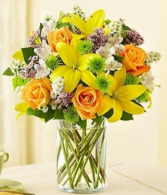 Send this lively arrangement of pink roses, carnations, alstroemeria, poms and decorative curly willow. 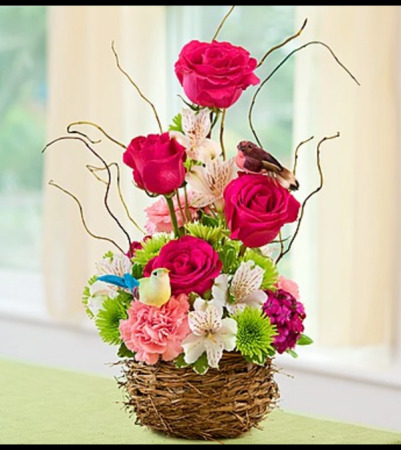 Hand-designed in a charming bird’s nest basket, it’s topped with adorable springtime bird picks to give them a gift they’ll be chirping about for weeks.